File Magus is an advanced file manager with plenty of abilities for you to easily manage files and folders of the website. You will have an impression you work locally thanks to the modern interface of File Magus (indeed, you can even drag a file from your computer directly on server). Bulk copying, moving and deletion, archives, FTP and HTTP connections, direct preview of files and even ability to edit code files. Plenty of settings, hot buttons, pan interface, executing OS commands – your work with Joomla’s files has never been so easy. Worth trying, isn’t it? File Magus Lite is provided under GNU GPL license. 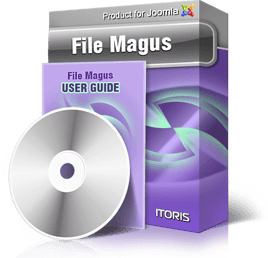 File Magus Full is provided under commercial license. One license includes ability to install the extension on ONE domain (or sub-domain or localhost) only. License can be switched from one domain to another. All other cases are supported via forum (no answer guaranteed) or via Support Help Desk. Support via the Help Desk is provided as a separate service. To gain access to the desk please purchase support service (you can select the period of support).